Oh after being confused by the latest Triptych poster, now Walt Disney send us a new trailer revealing the main plot/idea of the story which is somehow closer to what we are expecting. See it for yourself. Watch the new and longer trailer for OZ: the great and the powerful. Directed by Sam Raimi (the “Spider-Man” trilogy), “Oz The Great and Powerful” imagines the origins of L. Frank Baum’s beloved character, the Wizard of Oz. When Oscar Diggs (Franco), a small-time circus magician with dubious ethics, is hurled away from dusty Kansas to the vibrant Land of Oz, he thinks he’s hit the jackpot—fame and fortune are his for the taking—that is until he meets three witches, Theodora (Kunis), Evanora (Weisz) and Glinda (Williams), who are not convinced he is the great wizard everyone’s been expecting. Reluctantly drawn into the epic problems facing the Land of Oz and its inhabitants, Oscar must find out who is good and who is evil before it is too late. Putting his magical arts to use through illusion, ingenuity—and even a bit of wizardry—Oscar transforms himself not only into the great and powerful Wizard of Oz but into a better man as well. So the main mystery to be solved is who among the 3 witches is the wicked one. Well surely Glinda is not the bad one so we are left with Evanora and Theodora. But then again, like what we all know, this is a prequel so most of us already knows who is the bad guy on this tale unless they will give this classic another twist. Somehow this gave me more questions and probably reservations about the movie but visually speaking, this is looking great and probably much better than Alice in Wonderland. 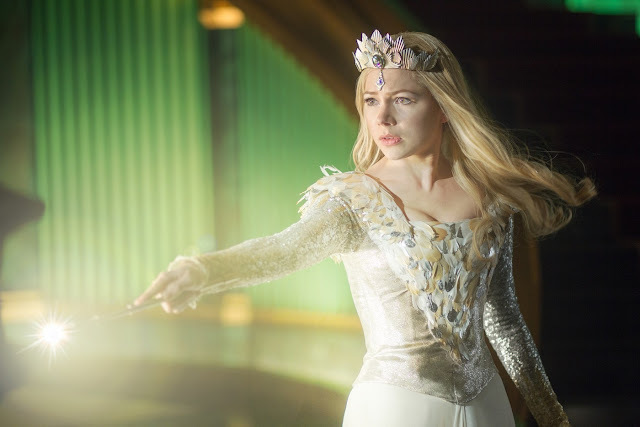 “Oz The Great and Powerful” opens in Philippine theaters on March 8, 2013, to be distributed by Walt Disney Pictures. This movie is looking so interesting shame it's only available on 2013, too much time to wait.